When an opportunity presents itself, grab it and make the most of it. The Wine Ladies, led by Georgia and Susanne, encountered some resistance and challenges while starting out their business, but they persevered and won the 2011 Entrepreneur of the Year Award from the Oakville Chamber of Commerce. As innovators, they set themselves apart from others and found a way to stand out by being engaging, having great educational content while still having fun. Today, the Wine Ladies have 160 sponsors and clients from all over the world that have booked campaigns with them including major wineries, wine agencies, spirits and beer brands, food products, retailers, restaurants, charities and more. To learn more about The Wine Ladies, visit here. To listen to their audio podcast, click here. For their Facebook page, go here. For their Twitter, click this link. For their Instagram, explore here. What is the meaning of manhood? According to our guest, Ryan Michler, the founder of the movement known as the Order Of Man, an overwhelming majority of men are lost today. A lot of young men don't have a father figure to show them the right path which can lead to negative outcomes down the road. That's why Ryan is committed to helping and empowering men to come up with their own solutions and become the best they can be. Today, his movement has more than 35,000 members and counting. To learn more about Order of Man, visit here. For more details about Ryan's upcoming event, click here. For his Facebook page, discover here. To listen to his podcast, Order Of Man, go here. Not helpful and didn't add value. These are the common perceptions about sales people out there and this is why we don’t like talking to them. Our returning guest has successfully overcome those judgements by using his simple formula: Science. Empathy. Execution. David Priemer is the founder of Cerebral Selling which is a modern sales training program built on Science & Empathy to help you become the top performer your customers will love. He is a scientist turned 4-time tech entrepreneur. He holds a B.Sc. in Chemistry and Atmospheric Science from York University and a master’s degree in Chemical Engineering from the University of Toronto. His passion is teaching the art and science of modern selling. The type of selling that not only gets you to the top of the leaderboard but does it in a way that will make your customers adore you. To learn more about Cerebral Selling, click here. For David's LinkedIn page, visit here. It is both a journey and a destination. Differentiating yourself and telling a unique story is the best way of branding your business. 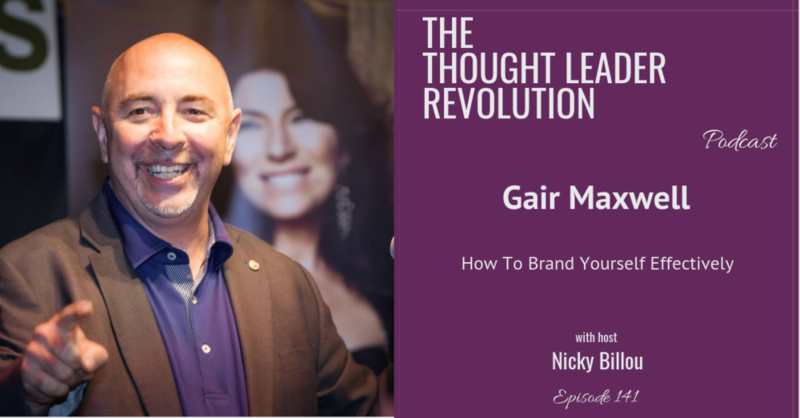 Gair Maxwell is an expert brand strategist. He can help your brand spend less time convincing and more time connecting in a way that inspires meaningful relationships and customers for life. He is also an international best-selling author and incredible speaker. With his interactive keynotes and workshops, he inspires everyday people to punch above their weight class and build the kind of brand that has top talent and customers seeking them out. To learn more about Gair, click here. For his LinkedIn page, visit this link. Our guest, John Reiser, who is the President of Better Events Management Group, did. He leveraged his existing knowledge and delivered it in a new way which filled a gap and provided value. 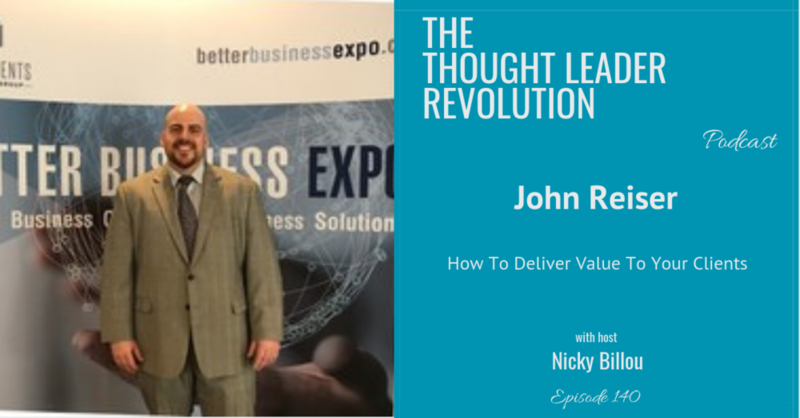 John founded the event, Better Business Expo, which helps business owners and entrepreneurs to essentially find all the products and services they need and maintain its dedication to helping support the growth of local businesses. Today, the Better Business Expo features over 500 exhibitors offering the latest and most innovative business development products and services and works with over 15 major government offices. To learn more about John, here's his LinkedIn page. For information about the Better Business Expo, visit here. Being a successful entrepreneur is not easy. Our guest, Patricia Dube, who is a pharmacist and entrepreneur, faced a lot of challenges while starting her business. But with her positive mindset, she turned challenges into possibilities. She started learning everything around leadership, personal growth and went around the world to follow the best teachers. Today, she helps thousands of entrepreneurs on how to be positive leaders in their communities and the world. To visit Patricia's website, click here. To contact Patricia, you can email her at patriciadube@leadershipsante.com. When they aren’t thrusted to improve themselves, they will likely be ruled by emotions and develop undesirable traits that weaken their purpose in the world. Today's guest believes that identifying the reasons why this happens can help prevent future issues and manage current ones. Steve Richmond is an expert in men, masculinity and how to tap into their masculinity. At 62, he found his purpose in coaching men and women to better their lives, relationships and experience greater business success and freedom. For his website, click here. To contact Steve, you call him at 416-206-6568 or email him at steve@steverichmond.ca. The corporate world isn't for everyone. In fact, our guest, John Murphy left it for something better — to serve his fellow human beings through his gifts as a leadership and business coach. His company, John Murphy International (JMI), optimizes the potential of CEO's, senior executives and business owners. He helps them understand how they need to manage themselves and how they need to impact the rest of their organizations. Today, he has helped companies like Pfizer, BT, Airbus, Great West Life Co, J&J, Vodafone and others to achieve performance gains of 25% in 180 days. For John's LinkedIn page, click here. To learn more about JMI, visit this link. For JMI's Facebook, go here. For JMI's LinkedIn page, check this out. You can reach John at john@johnmurphyinternational.com. How can you best help the world? Today's guest has answered that question with truth, passion and absolute authenticity. At 13 years old, Jennifer Blake began offering help in any way she could. It was always her passion to assist other people. That's why it's fitting she later became the Director and Co-Owner of the Hoffman Institute of Canada. It's the home of The Hoffman Process, a life-changing 7-day residential self-development program that helps people release the limiting patterns they learned in their childhood and lead their lives with choice, empowerment and passion. In addition, Blake is the founder and owner of Blake Consulting where she assists those who are going through a personal and professional transition. To learn more about Jennifer, visit this link. To get in touch with her, you can email jennifer@blakeconsulting.ca. According to today's guest, Dr. Warren Farrell, who is the author of The Boy Crisis and other books published in over 50 countries, many of the masterminds of those terrible acts didn't have a father in their lives. It's a serious problem that affects us all. But, there are ways to make this situation better. Dr. Farrell will share his thoughts. To learn more about Dr. Farrell, visit here. To get his book The Boy Crisis, click here. To learn more about Couple’s Communication, go here. Entrepreneurship is a roller coaster ride. Despite all of the trial and error, laughter and tears, confusion and triumph that being an entrepreneur brings, Brian Scudamore will convince you that you have exactly what it takes to succeed. He is an American born, Canadian entrepreneur and most notably, the founder and CEO of 1-800-GOT-JUNK? He's also the author of WTF?! (Willing to Fail): How Failure Can Be Your Key to Success. To find out more about Brian & 1-800-GOT-JUNK?, visit here. To connect with him on LinkedIn, click here. To buy his book, check out this link. Scott Bintz, who is an entrepreneur and author of Principles to Fortune, is no Ivy league graduate. He created 6 guiding principles that helped him change his workplace culture which made his employees and customers happier. As a result, his company, RealTruck.com became the #1 source for pickup accessories online with sales over $100+ million. To learn more about Scott, visit his website. To buy his book, Principles to Fortune, click here. Life can be a roller coaster ride. Just ask today's guest, Neil Pasricha. Before he became the author of the international hit, The Book of Awesome, his life was at its lowest point. His marriage fell apart and his best friend took his own life. For many people, that could have destroyed them. His experiences helped him to be who he is today — a New York Times best-selling author, positive psychology researcher, and top-ranked leadership keynote speaker. Nowadays, he assists people in living their happiest and most successful lives. For Neil’s LinkedIn, click here. For his Instagram, visit this link. For his Youtube, click here. To get Neil's books, explore here. To learn more about 1000awesomethings, read more here. For information about 3 Books, go here. To discover more about 8 Ways to Read More Books This Year, click here. Implementation and progress goes hand in hand. Peter Cook, who is a best-selling author and CEO of Thought Leaders Business School, made sacrifices to overcome all of his challenges on the way to his success. He was able to learn from his failures and would blog about his progress. 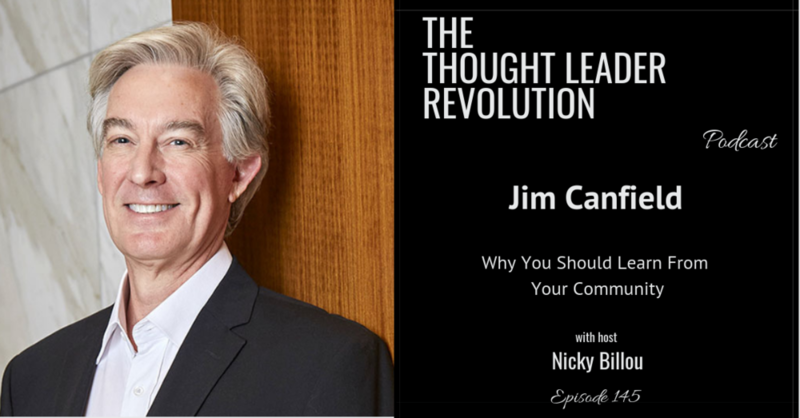 Today, he has helped thousands of thought leaders achieve business and financial mastery. To check out his website, visit here. To learn more about Thought Leaders Business school, explore this link. To contact Peter, you can reach him at info@petercook.com. 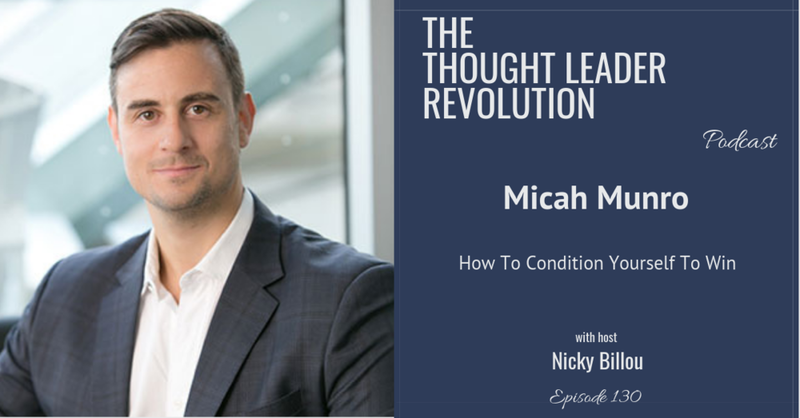 Our guest, Micah Munro, who is one of Canada's top realtors and a realtor coach, feels when you're assisting somebody else, you can't be in your head. That is Micah's philosophy which has helped him become successful. He now owns an investment company that invests in properties across North America and he’s an investor with a new company called Top-Tier Leads for realtors. For Micah’s Facebook page, visit here. For his team Facebook page, click here. To learn more about Top-Tier Leads, discover here. Our returning guest, Daniel Nisker, who is a certified trainer and fitness expert, isn't one of them anymore. He believes in himself and overcame the barrier that kept him from gaining the confidence he needed to skyrocket to the next level. That breakthrough has allowed him to charge high while still delivering value to his clients. Today, he's helped over 50 trainers to get past their limiting beliefs and have the business of their dreams. One of the most essential qualities of a great leader is the capacity to innovate. Our guest, Arjuna Ardagh, who is a Radical Brilliance coach and the original founder of Awakening Coaching, spent a lot of his life exploring how to transform what has been handed to him as a genetic inheritance and turned it into a conscious practice. He helps people find the right practice that brings forth their greatest gifts. Today, he has trained more than 2000 people who share this work all over the world. To learn more about Arjuna's website, click here. For his LinkedIn, visit here. To check out his YouTube videos, go here. To buy his book, Radical Brilliance, check this out.